Big news for the Houston economy! 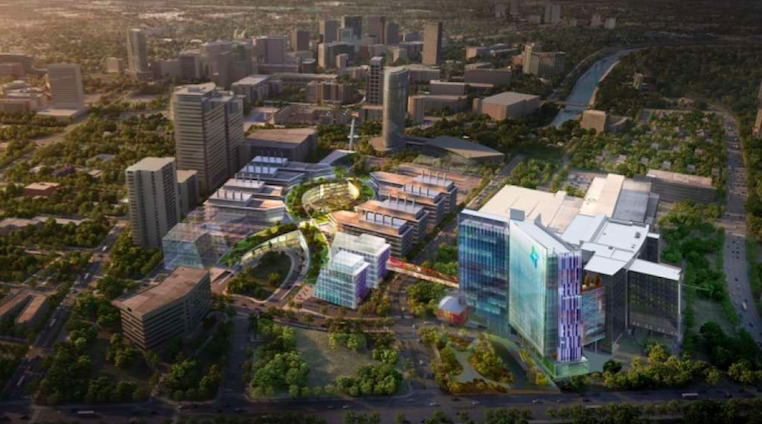 According to a recent article by Community Impact, a new 30-acre research center dubbed Texas Medical Center 3 is expected to create 30,000 new jobs and establish Houston as an international hub for biomedical research. The 30-acre research center will be called “TMC3” and will be shared by the Texas Medical Center, Baylor College of Medicine, Texas A&M University Health Science Center, The University of Texas Health Science Center at Houston and The University of Texas MD Anderson Cancer Center. The facility will be located just south of Brays Bayou and north of Old Spanish Trail in the Texas Medical Center footprint. The project marks the first time the founding institutions have built and shared space on a major scale in the Texas Medical Center. The groundbreaking project will generate a $5.2 billion stimulus to Texas and create 30,000 new jobs, according to a third-party economic impact study. Researchers will pioneer advancements in therapeutics, medical devices, regenerative medicine, genomics, and data science, among other areas. The centerpiece of the new research campus will be a building resembling the double helix shape of a DNA strand. An elevated rooftop park, 60 feet above the campus, will be open to the public. The project will break ground in 2019 with estimated completion in 2022, according to the TMC. Homeowners in Rosehill Reserve have easy access to the Houston Medical Center via The Grand Parkway and Highways 290, 249. Not to mention, we’re just a straight 25-mile drive to the Energy Corridor and Downtown Houston! View new homes.